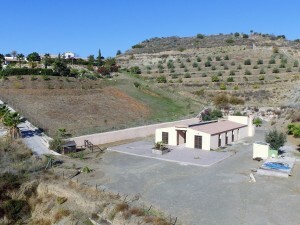 This is a very special property located in the heart of this charming, typically spanish village. 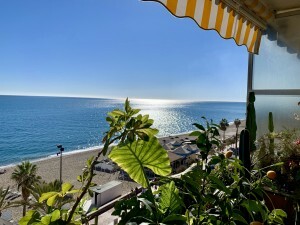 It is currently run as a local pension offering accommodation on 3 levels with its own spa tub and BBQ area on the top floor with great views from two terraces. Also on this floor is a lovely sitting room set up for the guests to relax, enjoy the spa and is totally private. The property is just off one of the central squares in the village so you have everything on your doorstep. On the ground floor there is a cosy sitting room used mainly by the owners, plus a charming dining room with office located just off here. Also on this ground floor is a decent size fitted kitchen with wc. Up the stairs to the 1st floor where there is the master bedroom with ensuite bathoom; a 2nd shower room and bedroom, plus a family suite with two bedrooms. On the 2nd floor, again a master bedroom with ensuite bathroom; 2nd shower room and bedroom plus another family suite with 2 bedrooms. Then up to the top floor used for entertaining etc. The property has a tourism licence and website, plus the current owner also has a local real estate business he is prepared to include if desired. All the excellent furniture is included in the sale too, so its ready to go! But if you are looking for a family home, this would work really well too. It is also possible to get this property and business on a rent to buy option..pay 25,000 euros deposit then a monthly rent of 750 euros. Ask for more details.